This stuff is great ! I bought it because my skin this summer has been taking a serious hit with all the time I have spent outside in the sun and wind working in the yard. I wanted something that would help smooth and hydrate without the heavy feeling of smoothering myself in coconut oil ( my solution for that tight icky winter skin lol ) and I wanted it to be as natural as possible and this is the perfect solution. 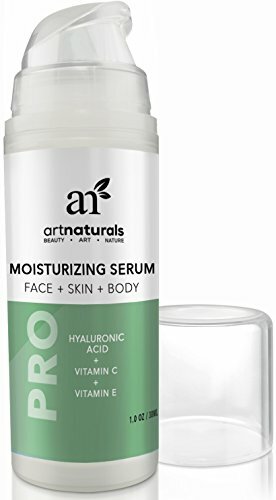 It makes my skin soft and smooth with just a drop of product and it dries fast and doesn't leave behind that tacky sticky feeling like some things do. I don't wear makeup everyday but when I do i notice that things go on smoother and easier and it smells nice ... Will buy again. Awesome, I am going to check this out for sure. I too hate the feeling many face washes and moisturizers leave. Thanks for the great review!